New ATO reporting initiatives are the linchpin that will help make the next round of superannuation changes work. Funds will need to use their SuperStream learnings as they start to prepare for the changes announced to apply from 1 July 2017. Regardless of the final shape of these changes, increased ATO capabilities will make super better for both super funds and fund members. Many of us remember how new APRA superannuation data reporting requirements by super funds was meant to be central to the implementation of Stronger Super – although the reality of this has fallen short of both expectations and initial specifications. In a similar way, new requirements for reporting data to the ATO – and the reports sent to funds, Single Touch Payroll and online registration of new employees, the further integration of super information into MyGov, and new and revised tax processes will be at the forefront of the next round of super changes. 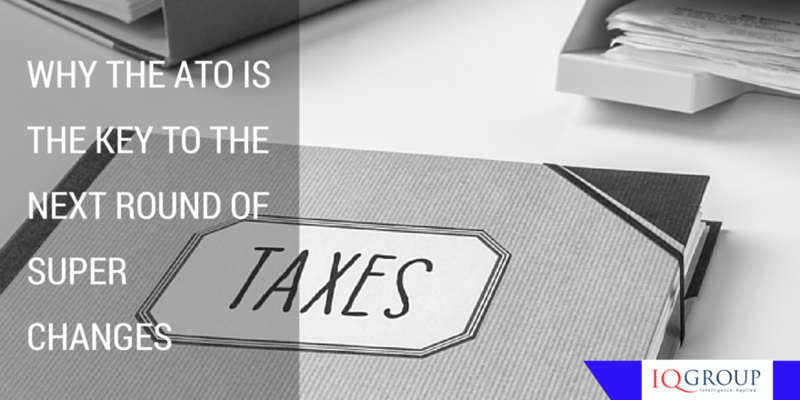 The considerable resources of the ATO mean this is more likely to be successful. Luckily, the ATO has become more super fund-friendly in recent years and seems to be taking its new partnering model very seriously. In building on their already significant database of superannuation information, the ATO will have a bigger, more accurate and much more up-to-date and regularly updated data repository. Super funds do not know how much their members earn, how many other super funds they have, or the total of their members’ concessional and non concessional contributions. They don’t know now and they won’t know in the future. But the ATO knows. Super funds already rely on reports from the ATO for the Low Income Superannuation Contribution, co-contributions, spouse contributions and the existing very high earners contributions tax (Division 293 taxation). The reliance on these reports will continue but will be extended as the cut-in salary for Division 293 tax is lowered from $300,000 to $250,000, the annual cap on concessional contributions is reduced to $25,000 and the lifetime non-concessional contributions cap of $500,000 is applied. The ATO is moving towards real-time superannuation reporting and the consolidation of existing reports, and this will make the information available to consumers on MyGov more up to date and reliable. Consumers will then be better placed to confidently make financial decisions (such as consolidating accounts) based on this information and have a better picture of their contribution history – and better know how close they are to their cap limits. The new reporting is also going to incorporate and consolidate lost member reporting. There’s still over $13.5 billion of lost super out there so there’s still a lot of work to be done. This will be aided by online registration of new employees for tax file number declaration and Choice of Fund, a new ATO service that’s going to be introduced over the next two years. As part of Single Touch Payroll, this will help improve employer compliance with the Superannuation Guarantee, improve data quality, reduce the incidence of unnecessarily duplicated accounts and lost super. With this data capability, the government will need to insure consumer protection against misuse of data and protection of privacy is monitored and enforced. These changes are an opportunity and a challenge for super funds, both in relation to member engagement and administrative efficiency. Funds that have a whole-of-business understanding of these changes, the importance of getting them right, and the ability to harness them to achieve strategic objectives are the funds that will be most future-proofed. During the 2016 financial year Craig has made the largest positive influence to IQ Group throughout the year. For his efforts he wins travel vouchers for two. Craig’s efforts are part of our larger global effort. Congratulations Craig and happy travels. We are thrilled to announce dual winners for our IQ Leadership award for FY16. 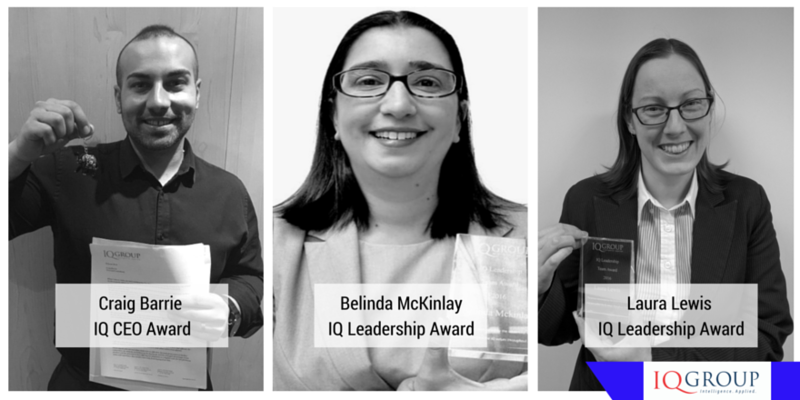 Both Belinda and Laura have focused on living the values in the IQ Group ‘formula’ and through their focus and hard work have consistently made a difference to their colleagues. With their efforts recorded in our IQ Group trophy, both Belinda and Laura will enjoy an extra annual leave and cash payment package. Next year is shaping up to be another crunch year for superannuation funds, with a raft of changes having a start date of 1 July 2017. With the re-election of the Turnbull Coalition Government we should now expect to see cabinet moving full steam ahead to implement the 15 major changes to superannuation announced in the May Budget – and they will need to move fast to get it all in place in the first year of their new term of government. Everyone in the super industry remembers how much super funds, administrators and custodians have been put under the regulatory pump since 2011 in order to implement Stronger Super, especially MySuper, SuperStream and APRA data reporting – and the some parts of the implementation of these are continuing five years later. The next round of change is going to be as every bit as complicated and difficult. However, unlike Stronger Super, which was largely introduced with community and super industry consensus, there was a strong negative reaction to many of the budget measures, particularly from high net worth individuals who may be paying more tax on their super. They are going to continue to argue for aspects of the package to be watered down, notwithstanding the result of the election. Let’s have a look at the best case scenario, to get a sense of how tight the timetable is going to be. Treasury will be circulating discussion papers and draft legislation over the next two months. 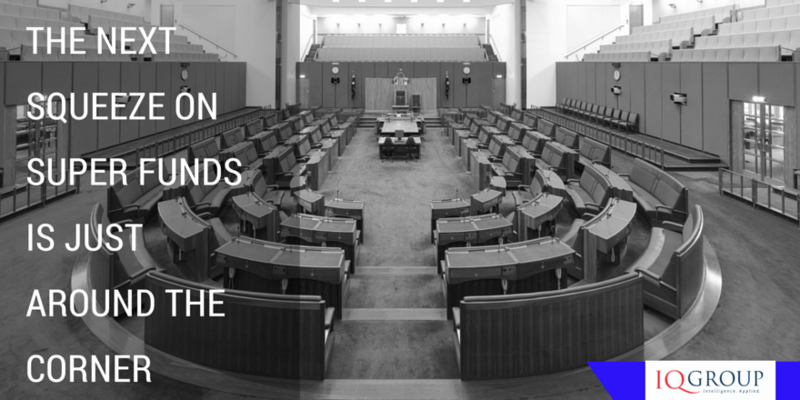 Assuming that goes smoothly with that – and remember they also have to draft parallel legislation for Defined Benefit funds – legislation to give effect to the changes will be introduced into the Spring session of Federal Parliament. Once this all clears the House of Representatives the legislation will probably be sent to the Senate in November and more than likely we will see it referred to a multi-party Senate committee. Continuing with our likely scenario, the Committee will call for submissions, conduct hearings and generally review the legislation, probably reporting in February. Assuming some changes to the legislation are made through this process, the final legislation would conclude its journey through Parliament by the end of March 2017, receiving Royal Assent shortly after that. That is the best case scenario! It means that super funds and their significant others will only have the legislation in its final form less than three months before implementation. Supporting regulations and regulatory guidance will only be finalised after the legislation. If the Government encounters any significant legislative, political, legal, regulator or implementation obstacle, it will be very hard for the Government to keep to its 1 July 2017 deadline. As well as navigating these changes, the Government also wants to introduce a new post-retirement framework, continue to push for new governance requirements for super funds, and implement new disclosure requirements. They will also have to respond to the Productivity Commission’s report into the efficiency and competitiveness of superannuation, due next month. It’s not only the Government that’s going to be busy. All of us in the super industry will have to work very hard to come to term with these changes, their implementation and ongoing operation. I’m exhausted just thinking about it! Operationalising regulatory change has always been a very important capability in the super industry, but its importance is just about to ratchet up a notch. Recently we took a look at what is happening around the region and what Asia Pacific countries are doing with bitcoin and blockchain. So whilst Australia debates whether or not either digital crypto currency or distributed ledger style blockchains will disrupt markets, other countries are roaring ahead with pilots and implementations. With so much debate today around digital innovation and disruption it’s interesting to see what our regional neighbours are up to. This week we take a look at Japan. 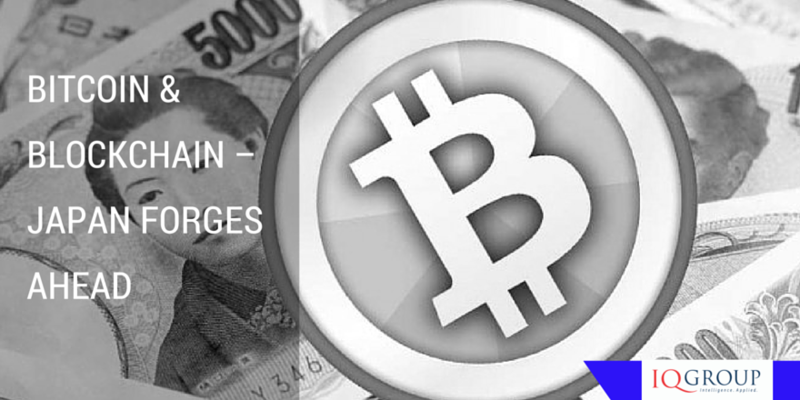 Characterised by ‘bitcoin fever‘ Japan is experiencing a considerable investment in both bitcoin and blockchain technologies. The Japanese blockchain firm TechBureau has raised $6.5 million USD from firms including OKWave, Nippon Technology, Arara, Hiroshima Venture Capital, FISCO and Money Partner’s Group for globalization plans. The company’s bitcoin exchange, Zaif hit record bitcoin trading volumes in March and in May Japan recorded the world’s second highest volume of BTC trades. The company plans to expand its permissioned blockchain startup Mijin to enterprise everywhere. Its goal is to enable ‘financial institutions to reduce infrastructure costs by up to 1000% by 2018.” Currently Japan has the most active Bitcoin ATMs in Asia – with 13 ATMs focused solely on bitcoin currency. Japan also has two consortiums for blockchain – Blockchain Collaborative Consortium (BCC) which consists of 34 companies working together to establish industry standards, plus the Japan Blockchain Association. The organization is also made up of industry innovators and leaders from a broad range of Japanese businesses. Next up for Japan will be the Japanese government defining and regulating bitcoin (particularly after the failure of Mount Gox), allowing cryptocurrency operators to operate exchanges similarly to operating standards found outside of Asia. The Japanese government plans to monitor and supervise all cryptocurrency operations. But Japanese startups and established bitcoin businesses continue to blossom. And if you are wondering what the so-what factor is here, consider this. The bitcoin operator Coincheck has helped facilitate cryptocurrency for the entertainment offerings for 19 million users for entertainment firm DMM. And the largest question and answer platform OKWave has over 40 million users that can use bitcoin services on the platform, with a bitcoin wallet fully integrated into the site’s user interface. At the rate of growth it is experiencing, Japan is actively competing to become a leader in cryptocurrency and blockchain technology solutions – going head to head with China, the US and countries within the EU. We have already seen a bitcoin for the people pilot in Zug Switzerland and expect many more to follow. And in Australia? We will take a look at what is happening or not shortly.